Once again, Sony has produced something innovative and interesting for the camera market with the ILCE-QX1. But it might be a case of solving a problem that doesn’t really exist. While it is great that you can interchangeable lenses with your smartphone, the Sony ILCE-QX1 is fairly unwieldy to use when attached to a phone itself, and having to attach it and set it all up is a bit of a faff that sometimes ultimately leads you to not to bother. Where it is more fun, and you can see it being more widely used, is when used remotely - whether that’s for selfies or when attached to a smartphone. Here you can experiment a bit more widely with the Sony ILCE-QX1 and really get the best from it - that said, it’s quite an expensive gimmick for doing such a thing with. Although battery life is good, ultimately you’re relying on your smartphone’s battery life also - which can be a lot less reliable, especially if you’re using it as, well, a phone. It’s nice to see the addition of raw format shooting for this camera, compared with the other cameras in the QX range. This gives you more scope in post-production, for instance you can alter the amount of noise reduction is applied to your images. It’s hard to know who the audience for the ILCE-QX1 is. Sony has made something which accepts interchangeable lenses, so perhaps it is those who already own a Sony compact system camera - but those people are likely to get very quickly frustrated with the drawbacks of not having an actual body. For those that are mainly interested in better smartphone photographs, it seems unlikely that they’ll end up purchasing additional lenses for a camera like this - so it will be interesting to see if it takes off. It would also be good to see it become possible to use the camera with other popular apps, such as Instagram or Facebook to make it a more integrated experience. Putting all that aside and concentrating solely on image quality though and we have here a good performer. Images display great colour, and detail reproduction is also high - low light, high sensitivity shooting is particularly impressive. 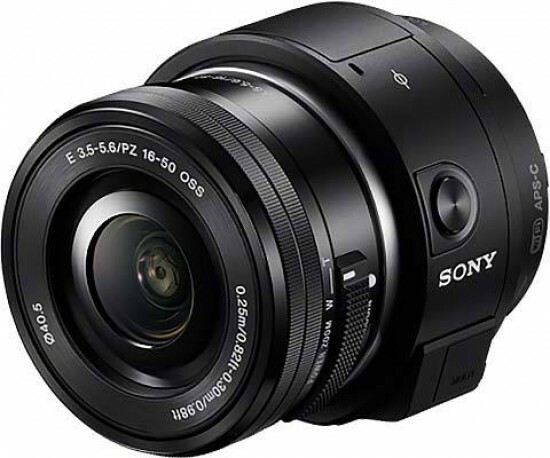 Bearing in mind that the Sony ILCE-QX1 is a lot cheaper than some of the current Sony compact system cameras, it could be a good option for those that can't quite stretch to the full system at the moment.